Seattle so far is getting solid overall production from its 2018 rookie class even if the jury remains out on the top two picks. One of the dominant story lines for the Seahawks heading into the 2018 draft is that this was the class they needed to stop the slide. The Seahawks in their prime were built on three drafts from 2010-12 that time might prove to have been as good as any three-year run in NFL history (it’s not hyperbole to think there could be at least four potential Hall of Famers in that group). But the Seahawks began to slip the past few seasons thanks in part to classes that, maybe inevitably, weren’t coming close in production to those that preceded them. Then, a funny thing happened along the way. 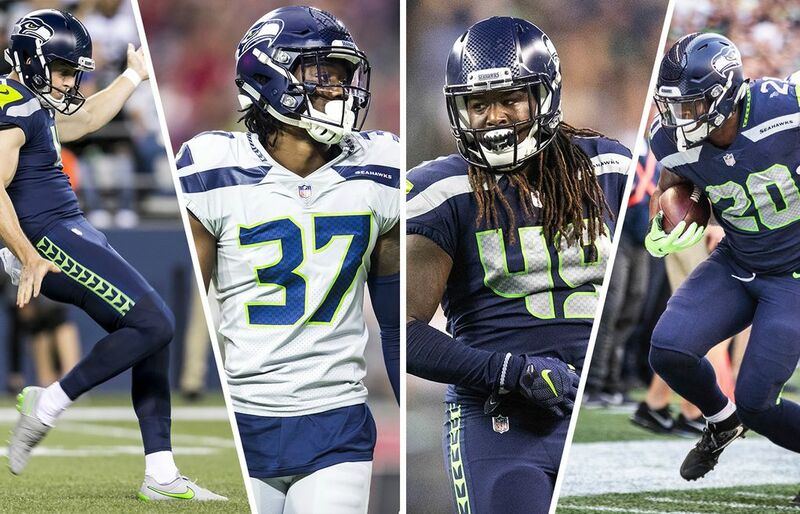 As Seattle began to show, over the past four weeks, that there might be more life after the Legion of Boom era than some thought, some of the key selections of the 2015-17 draft classes have emerged as the players the Seahawks imagined they could be. Frank Clark (2015) has flashed true superstar potential and Tyler Lockett (2015) is looking worthy of the three-year contract worth $31 million he signed before the season. Germain Ifedi (2016) has played the best extended stretch of his career and is finally beginning to look like a consistently productive legitimate NFL right tackle. Jarran Reed (2016) might be having the best season of any Seattle player no one is really talking about. And before his injury, Nick Vannett (2016) showed he could be a consistent contributor, as has Quinton Jefferson (2016). The 2017 class also has taken an upward turn. 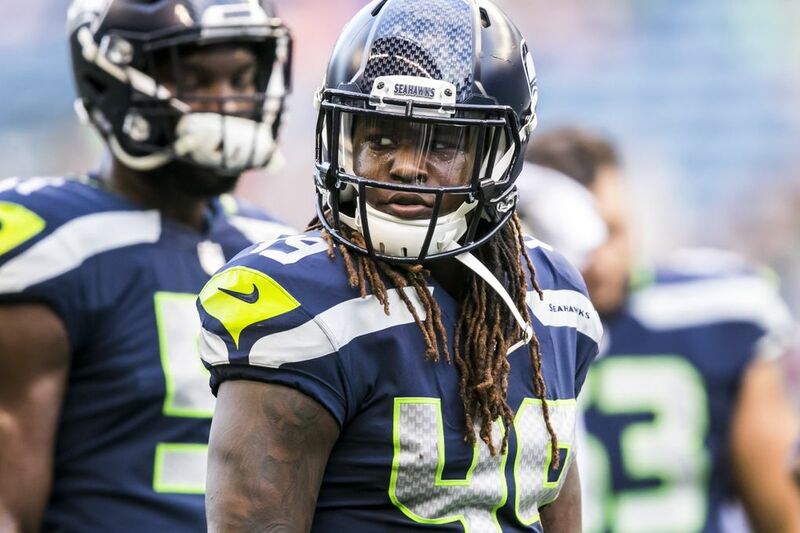 Shaquill Griffin appears as if he really can step into Richard Sherman’s left cornerback role. Tedric Thompson shows some promising early signs at free safety, and seventh-round choices David Moore and Chris Carson are blossoming into key offensive roles. Suddenly, the class of 2018 has to live up to, not only to the historic 2010-12 classes, but a few of the more recent ones. The good news is that early returns appear positive, even if things haven’t all gone as smoothly as the Seahawks would have hoped, especially for the top two selections. Until some injuries hit over the past two weeks, Seattle’s rookie class was among the NFL’s top 10 in terms of overall snaps played. That could be viewed as a given due to all the veterans Seattle lost this offseason, but in some cases the players also earned the right to play. Seattle still ranks 14th this week with 788 total rookie snaps, according to Pro Football Focus (Cleveland is first with 1,868). Seattle was 18th in rookie snaps in 2017, and 20th in 2016. OvertheCap.com, a website that breaks down NFL salary cap issues, has developed a metric detailing how much production teams get from their rookie classes compared to other teams. The metric is used to continue to evaluate classes through the lengths of their rookie contracts. This week, OvertheCap.com has Seattle ranked 13th in rookie production — that ties for the highest of any Seahawks’ rookie class since 2012. No other class since 2012 has ranked higher than 21st. As Seattle comes off its bye week, here’s a review of how each member of the 2018 rookie class has done in the first six games. RB Rashaad Penny, first round, 84 snaps. Comment: Anything less than consistent 1,000-yard rushing seasons will lead to persistent debate about Seattle’s decision to take Penny in the first round. That Penny now is essentially the team’s third running back and averaging just 3.6 yards per carry compared to the 4.5 and 4.6 of Carson and Mike Davis, respectively, further fuels the discussion. But Penny at least is contributing, and you never know when depth will be needed at tailback. Comment: An early preseason standout, Green’s play leveled out once the real games began. He doesn’t have a sack or a quarterback hit and has just four tackles, and he’s only played three games due to a sprained ankle. Comment: Dissly’s injury is one of the biggest reasons the Seahawks no longer rank in the top 10 in rookie snaps played. He’s out for the year with a patellar tendon injury suffered against Arizona. But until then he looked like one of the better picks in the draft, emerging as a true combo tight end. Seattle hopes he returns in a year and picks up where he left off. Comment: Griffin, whose emotion-laden draft day will forever be a significant aspect of the legacy of this class, has had a hit-and-miss rookie season. He started the opener at weakside linebacker in place of K.J. Wright but did not look ready for that role. The Seahawks have since changed course at that position, signing Mychal Kendricks. With Kendricks being suspended for the past two games, Seattle has used Barkevious Mingo there and have played mostly in a nickel defense. Wright is expected back next Sunday at Detroit. Griffin was drafted as Wright’s heir apparent, but the current state of things leaves his status uncertain going forward. However, Griffin has been a special teams stalwart with 67 snaps on special teams, and was named the team’s Special Teams Player of the Week against Arizona. Comment: Flowers is the breakthrough player of this class, and he’s looking like one of the team’s best selections since the 2010-12 glory years. He earned a starting spot at right cornerback in Week 1 despite having played safety in college at Oklahoma State. 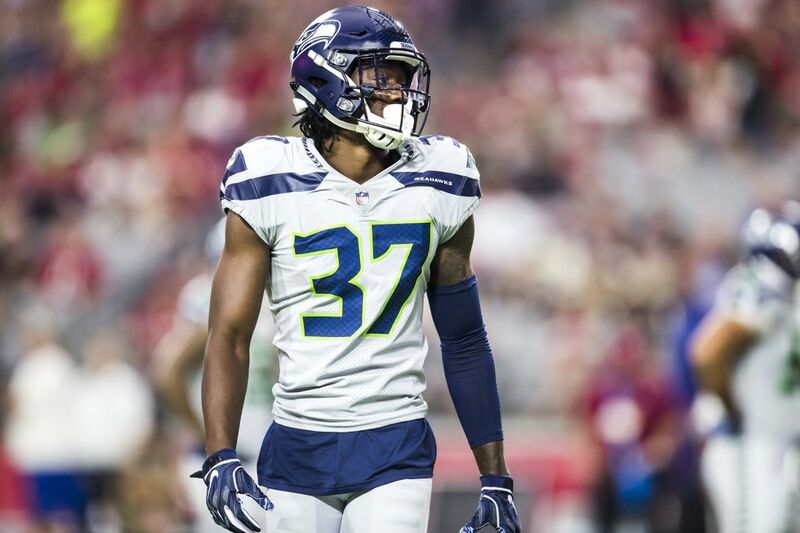 Seattle initially planned on Byron Maxwell and/or Dontae Johnson holding down the starting spot, and likely figured Flowers would have what amounts to a redshirt season this year. 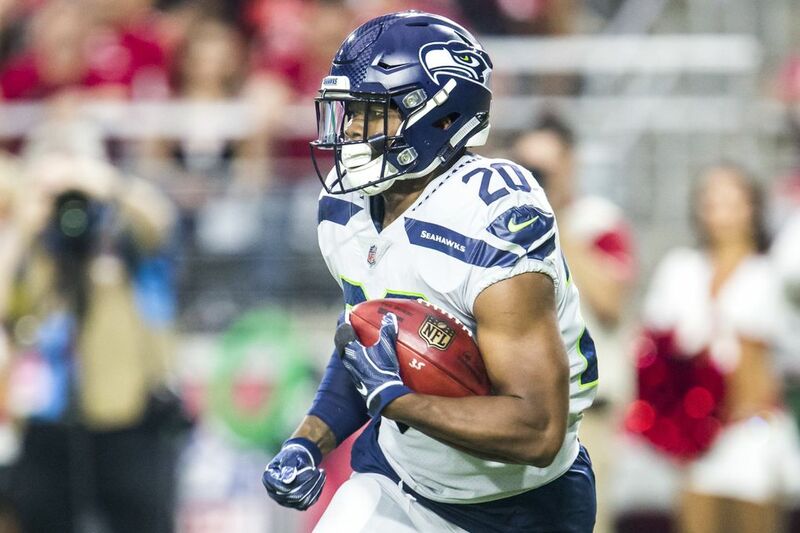 But Flowers has proved up to the challenge, serving as the latest example of coach Pete Carroll’s ability to identify and groom defensive backs. 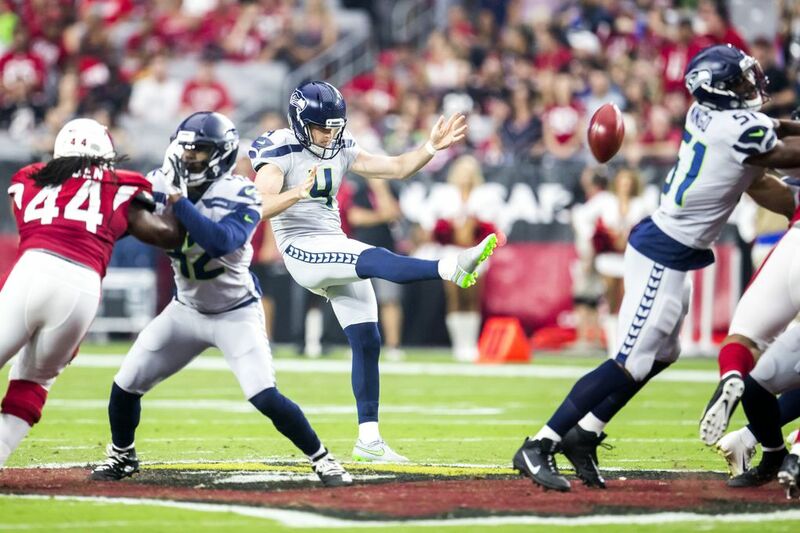 Comment: Aside from a couple of hiccups, Dickson has been pretty much what the Seahawks hoped, averaging 43.1 yards net per punt, 10th in the NFL, and about 3 yards better than Seattle had a year ago. OL Jamarco Jones sixth round, 0 snaps. Comment: Jones was a legitimate contender for a roster spot before he suffered a season-ending ankle injury in the preseason that landed him on Injured Reserve. He’s showed enough to remain in the team’s long-range plans. Comment: Martin has come on of late, playing a season-high 28 snaps in the victory over the Raiders, with a quarterback hit and a fumble recovery. He also has emerged as a core special-teams player, with 107 special-teams snaps — fourth-most on the team behind Mingo, Neiko Thorpe and Tre Madden. Good value indeed from a sixth-round choice. Comment: As most expected would happen, McGough is spending the season on the practice squad. What wasn’t expected is that Seattle would trade for Brett Hundley just before the regular season began. That makes it important for McGough to show something in the preseason next year. For this year, it’s about learning during the week. Comment: Ford is the only rookie undrafted free agent to make the active roster this season. He also has seen increasing playing time and productivity of late, and specifically since the loss of veteran Tom Johnson. Ford has played 17, 17 and 21 snaps in the past three games, and he made two solo tackles against the Raiders.